It's awards season, which always makes me think about book adaptations. Have you ever noticed how many of the Oscar-nominated movies are books adapted for the big screen? This year, a few titles include Lion and Hidden Figures in the best picture category. Television has also begun to poach stories originally found in hardback, with titles such as The Leftovers, True Blood, and the upcoming Big Little Lies and The Handmaid's Tale. 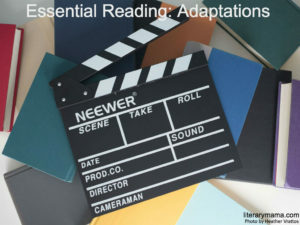 For this month's Essential Reading, we've compiled a list of book-to-screen adaptations and are trying to answer the age-old question: is the book always better than the movie? It turns out the answer is sometimes they're both great. 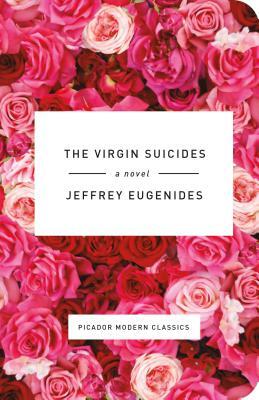 One of my favorite books is Jeffrey Eugenides' The Virgin Suicides. My first read was inspired by seeing the trailer for the film version, written and directed by Sofia Coppola. As reading the book first has always been a priority for me, I bought a copy and devoured it before going to the theater to see the film. I was not disappointed with either. Just like the narrator, who speaks in the first person plural from the point of view of a few neighborhood boys, I was instantly enamored with the five not-long-for-this-world Lisbon sisters. Both the book and the movie capture the teen angst and familial pain of mental illness with bold characters and stylish language. Coppola's version is practically verbatim, with only a few changes that made absolute sense for the film adaptation and allowed the text to come alive. It doesn't hurt that the cast included such talented stars as Kathleen Turner and a young Kirsten Dunst. Even after multiple reads, the book has maintained its top five status for me with the movie also high on my list of favorites. Some books leave the reader excited for the film adaptation. 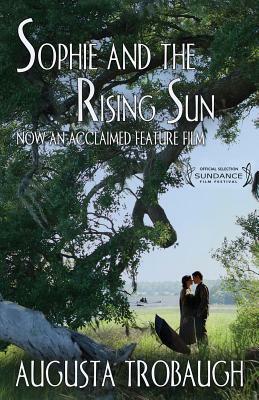 For Suzanne Kamata, Fiction Co-editor, "Having read Augusta Trobaugh's novel Sophie and the Rising Sun, I'm looking forward to seeing the new film based on the book. In this story, Grover Oto, a middle-aged Japanese-American man, winds up in a small Southern town after losing his father's money to thugs in New York City. He gets a job working as a live-in gardener for Miss Annie, a well-meaning widow who needs her dogwood trees planted. Sophie is the neighborhood spinster. Her long ago beau died in the first world war, and she spent her youth taking care of her mother and her senile aunts. Now she's living alone. Grover falls in love with Sophie, but she doesn't give him much consideration at first. After all, he's not white. Rumor has it that—gasp—he's foreign. They meet through a shared interest in painting and gradually become friends. Then, the Japanese Army attacks Pearl Harbor, and Oto becomes the enemy. The subject of race relations is nothing new in Southern fiction, but there are relatively few novels that go beyond exploring the traditional black and white relationship. It's also refreshing to read a love story featuring such late bloomers." Colleen Kearney Rich, Fiction Editor, is both a movie and book enthusiast. She writes, "I love movies as much as I love books. I do prefer to read the book before I see the movie. 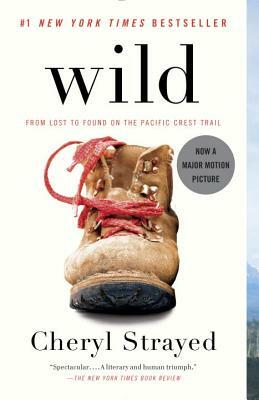 I think Cheryl Strayed's Wild is an excellent example of one where it is hard to decide which medium was better; I loved both. I was reminded of the film when watching the recent Netflix revival of Gilmore Girls, as the 'book versus the movie' is a hot topic. After reading Wild, Lorelai Gilmore was inspired to hike the Pacific Coast Trail. Her fellow hikers fell into two groups: fans of the book or fans of the movie. I can't choose between them. I loved the details and descriptions that Strayed provides in the book, but Reese Witherspoon's portrayal of Strayed really illuminated just how broken she was at that point in her life—and Witherspoon often did this without using words. I think the two taken together provide a richer experience." Profiles Editor Kelsey Madges is excited for the adaptation of The Circle by Dave Eggers. She says, "More than any other book I’ve read recently, this one stuck with me. It begins as the story of a young woman, Mae Holland, (soon to be portrayed on the big screen by Emma Watson) who is rescued from a bleak job with a local utility company and brought into the world of the Circle—the world’s premier tech company. Imagine if the current leaders of social media, personal technology devices, and online platforms merged to become one enormous company and you'll have some idea of the prominence and pervasiveness of the Circle. It was not difficult to picture myself as wide-eyed Mae in her first days working for the tech giant, unable to believe the good luck and string-pulling that landed her a dream job. As the story unfolds, the reader, unlike Mae herself, begins to feel uneasy at the influence the Circle slowly exerts on all aspects of Mae’s life. The authority of the Circle, and the degree to which Mae blindly accepts it, grows to an absurd degree in the second half of the novel. 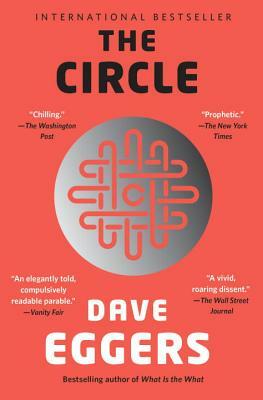 The goals of the Circle feel increasingly sinister as the novel races toward an over-the-top, though entertaining, cautionary conclusion for life in these digital times. As ridiculous as the final plot twists felt to me rarely does a day go by that something in my real-life doesn’t remind me of the Circle. I've shared this book with many people in my personal circle, and I'm looking forward to seeing how the story plays out on the big screen." Photo Editor Heather Vrattos was pleased with both the book and adaptation of A Man called Ove, by Fredrik Backman. She states, "It is a humorous and tender story about Ove, a man who has become isolated from his community. He has quarreled with his best friend, been ousted from the board of his housing development, suffered from the death of his wife, and he has been forced into retirement. His new neighbor draws him back from his isolation and pushes him into encounters with his community. Flashbacks to his childhood and life leading up to the present are interspersed throughout the story, which reveals his love of rules and doing things the right way. As big life events happen, the rules are sometimes comforting to fall back on. Other times, the rules seem frustratingly bureaucratic, as certain rules do not fit the situation. The book seems to suggest that rules help a community to get along, but in today’s messy, diverse, and sometimes complicated society, one needs to think about how the rules can best be applied to benefit a modern community. The book was made into a great movie directed by Hannes Holm. It's in Swedish with English subtitles and closely follows the book. While I preferred the book, because it had the time to reveal more information about the lives of various characters, the movie does a great job mixing the dark humor with a heartwarming story." Managing Editor and Reviews Editorial Assistant Hope Donovan Rider shares an example of what she considers a successful adaptation. 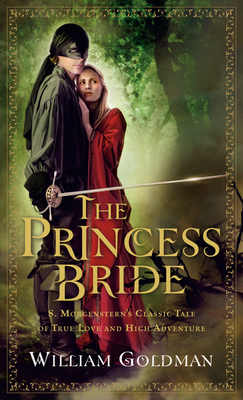 She says, "One of my favorite book-to-movie adaptations is The Princess Bride. I watched the movie every chance I got when I was growing up, and discovered the book when I was in junior high. I then read it at least once a year for many years. The movie is a fun adventure with fighting, swashbuckling, clear villains, and, of course, true love. The book has all of that, as well as some pointed social satire. It is one of the few book and movie pairs that I can't pick between because they are both exactly right." Do you have a favorite (or not so favorite) adaptation? Share it with us in the comments below or tweet us @LiteraryMama. Follow us on Goodreads for more reading suggestions.